Have your eye on The Holy City? Each year, millions of visitors travel to the Lowcountry to discover this jewel box city of the South. But finding the right place to stay isn’t always easy. When looking for the top places to stay in downtown Charleston, SC what exactly should you be looking for? Try a place that lets you feel like a local while still providing the amenities you might expect from a luxury resort. Consider these amazing Charleston vacation properties from Walk Away Stays! With a mix of options, there’s something for everyone! Brand new 2BR/1BA suites are available now in the heart of downtown Charleston at 563 King. Six units are available, which can be rented individually or in bulk for larger groups. 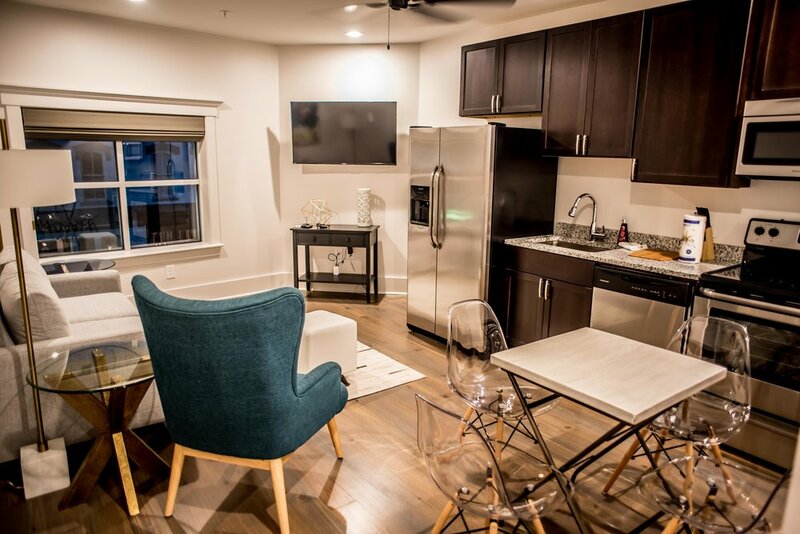 All units include a fully equipped kitchen with stainless steel appliances, flat-screen TVs, high-speed Internet, and off-street parking. What makes these units great is the Charleston-only interiors that boast exposed brick and hardwood floors. While the furniture, artwork, and amenities are modern, there’s no denying the cozy, Southern charm that fills each of these apartments. Just steps away from Charleston nightlife and some of the nation’s most renowned restaurants, these suites are truly among the top places to stay in downtown Charleston, SC! New to Charleston’s bustling King Street are the luxury hotel suites at 493 King. Each suite is a 2BR/2BA that includes a sleeper couch for an additional guest—sleeping up to five. Simply put, these luxury rentals will be a home away from home with full kitchens, beautiful living room areas, and laundry rooms. 493 King offers modern apartments with accents of wood, metallic, and marble—tying together a tasteful and minimalist interior with a refined feel. The best part? 493 King can be rented out individually or in blocks! 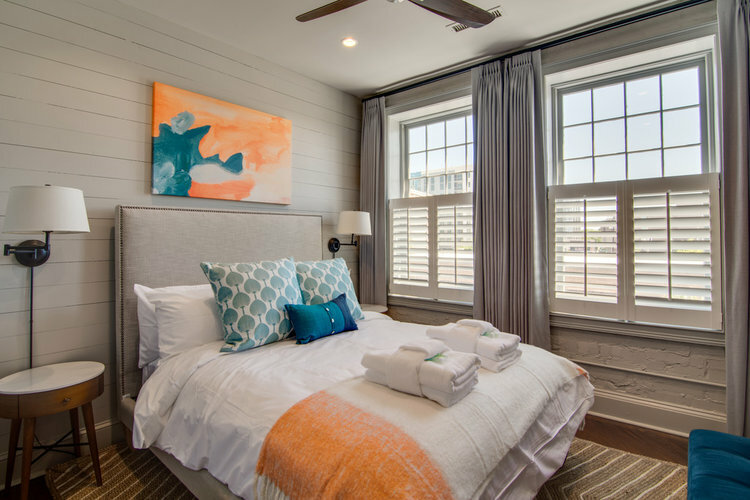 So these vacation suites are great for anything from a romantic getaway to housing for a wedding party, family reunions or just a luxurious night’s sleep in the heart of downtown Charleston. 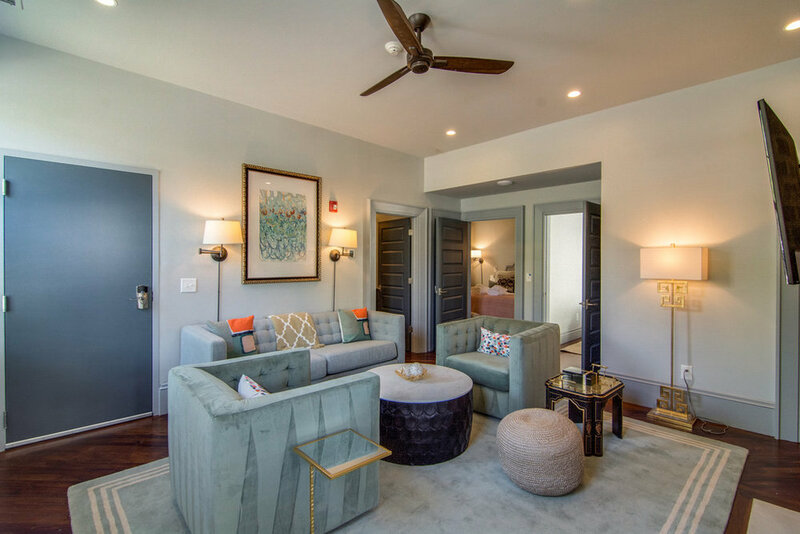 Located in Charleston’s charming Eliottborough neighborhood, this luxury 3-story condo is ideal for those who want a more residential feel while still being mere steps from the buzz of downtown Charleston. Right around the corner, explorers will find hidden bars and tapas, French cuisine, Southern cooking, baked goods, and fresh coffee, along with one-of-a-kind artisan shops. The first floor of the condo has a spacious living area with a 61’ flat screen TV. There’s also a modern kitchen with marble counter tops and stainless steel appliances. Two bedrooms are on the second floor, connected by a Jack & Jill style bathroom. On the third floor is the King suite, outfitted with a King-sized bed, its own bathroom, and a balcony overlooking St. Philips Street. Complimentary parking for two is included. This gorgeous home is composed of three 2BR apartments and one 1BR apartment. Together, this property can house up to 22 guests, and each unit has a full kitchen and living room. This is one of the top places to stay in downtown Charleston, SC for a larger group who wants everyone to be together but not cramped, offering seven bedrooms and seven baths altogether. This compound was recently completely renovated and redecorated—and the detail here is absolutely incredible. The interior looks like it was pulled straight from the pages of Southern Living with sunlight pouring in from every window, shining across the hardwood floors. With inspiration from modern stylings and classic Americana, everything from the open floor plan to the cozy furniture, tasteful artwork, and French blinds offers classic Southern charm with a refreshing modern twist. Street parking is available for up to four cars. Find More Amazing Places To Stay! At Walk Away Stays, we know that the best way to experience Charleston is to live like a local—but that doesn’t mean you can’t enjoy incredible amenities too! Experience Charleston’s unique style and history, while also keeping all the charm and excitement that Charleston has to offer within reach. 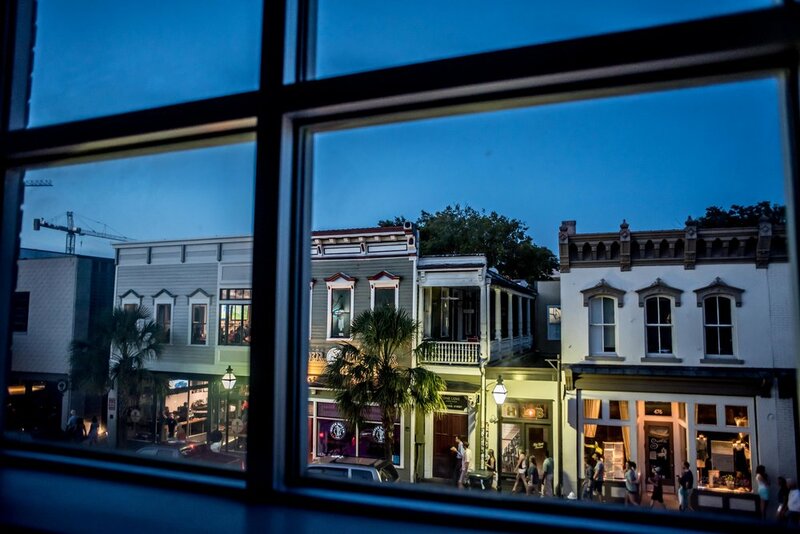 It’s easy to find the top places to stay in downtown Charleston, SC. Simply browse our listings, and book a stay with us today!